We pride ourselves on not relying upon advertisements to fund ourselves. However, we do accept pledges via our Patreon. Visit the link below to visit our Patreon page and learn more about how to support The Ghost Note. Hello, my name is Zach and I’m the head writer and creator of The Ghost Note. 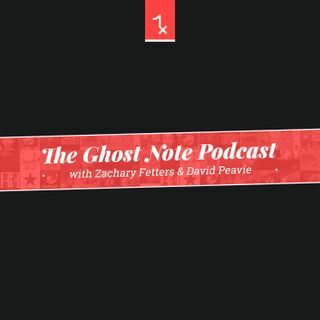 The Ghost Note is an online blog and podcast devoted to in-depth music review, analysis, discussion, and news. To allow ... See More our dreams to flourish, we rely upon donations and pledges from our Patreon supporters to improve our software, hardware, and achieve our goals. For those who don’t know, Patreon is a service that allows fans to pledge a certain amount of money each month to their favourite creators to help them achieve their goals, whilst usually getting rewards in return set by the creators. If you contribute a dollar or more a month to our Patreon, you’ll get unlimited access to sneak peeks of future content and plans not yet announced, as well as the ability to listen to podcast episodes a few days or even a week before it is released. If you contribute 15 dollars or more a month, you’ll get a special shout-out of the end of the last podcast of the month. Lastly, if you contribute 30 dollars or more a month, you’ll get everything listed before, plus a personal monthly release recommendation mentioned at the end of the last podcast of the month, along with a custom comment. Donating is not required, nor do we encourage it unless you absolutely are able to, but know that no matter what amount you pledge: any support at all, financial or not, is greatly appreciated and goes a long way to helping us reach our full potential!